Those prescribing non-steroidal anti-inflammatory drugs like ibuprofen are being asked to consider their necessity with new research finding they could increase heart attack risk within the first week of use. Published online today by The British Medical Journal (BMJ), researchers found that the risk of heart attack especially increases within the first month of taking high doses of the drugs. Previous studies have linked non-steroidal anti-inflammatory (NSAIDs) to increased heart attack risk, but this is the first study to uncover at what point the heart attack risk increases and how much of the drug might be needed to increase the risk. The study was based out of Canada and included studying 446, 763 people from Canada, Finland and the UK who had taken NSAIDs. After completing their study, the researchers found the overall risk of heart attack for those using NSAID’s is approximately 20 – 50 per cent higher. “To put this in perspective, as a result of this increase, the risk of heart attack due to NSAIDS is on average about on per cent annually,” a media release announcing the study explained. The researchers however warned that the study could not account for all influencing factors which may lead NSAID’s users to have a heart attack. 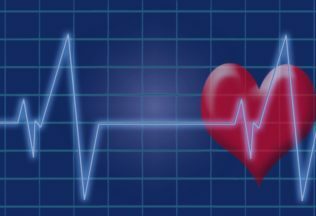 The study ultimately concluded “Given that the onset of risk of acute myocardial infarction [heart attack] occurred in the first week and appeared greater in the first month of treatment with higher doses, prescribers should consider weighing the risks and benefits of NSAIDs before instituting treatment, particularly for higher doses,” the researchers wrote. A US jury has awarded a woman the equivalent of AUD $148 million in compensation after she took Johnson & Johnson to court, saying talc in its baby powder gave her ovarian cancer. The decision follows two similar cases which were dismissed in 2016 after legal teams were unable to adequately prove that talc could cause ovarian cancer. In responding to this latest case, a Johnson & Johnson spokesperson said that they “deeply sympathise with the women and families impacted by ovarian cancer”. The company has however confirmed it will be appealing the decision. Johnson & Johnson said that the two dismissed cases from 2016 highlight the lack of credible scientific evidence that talc can be linked to ovarian cancer. “We are preparing for additional trials this year and we will continue to defend the safety of Johnson’s Baby Powder,” said Carol Goodrich, Global Media Relations for Johnson & Johnson Consumer. According to the American Cancer Society, prior to the 1970s, some talc contained asbestos which is acknowledged as being linked cancer. It however says the link between asbestos-free talc and cancer is less clear.